Welcome to this 16th edition of Civil Service Quarterly. 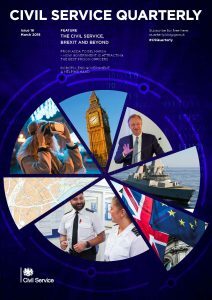 In this edition, we cover a wide range of issues: from Brexit preparations to a dynamic new approach to policy development; and from the use of robotics in government to new ways of stimulating innovation in industry and science to support UK economic growth and enhance our defence and security. All have something to say on how the Civil Service works now and the opportunities to be grasped and challenges met in order to make it the best civil service in the world. Our lead article is from Cabinet Secretary and Head of the Civil Service Jeremy Heywood. In CSQ12 (October 2016) he wrote about the immediate Civil Service response to the result of the referendum on UK membership of the European Union. Now, as we move ever closer to withdrawal from the EU, he describes the indispensable contribution of civil servants to moving the negotiations forward and preparing the country for a new partnership with our European neighbours and a new global role for the UK outside the EU. There is much that an open Civil Service can learn from its counterparts overseas, and much that they can learn from us. In this spirit, and as Head of the Policy Profession in the UK Civil Service, I welcome the article from Andrew Kibblewhite, my equivalent in New Zealand, on their Policy Project for improving capability in policy development and implementation. The subject of the CSQ Interview, Dr Andrea Siodmok, speaks about an approach to the design and delivery of policy in areas such as homelessness and crime reduction that is based on exploration and experimentation. As Deputy Director of Policy Lab in the Cabinet Office, Andrea leads the ambitious cross-government work to support the 17,000 policy makers in government with cutting-edge tools and practices. 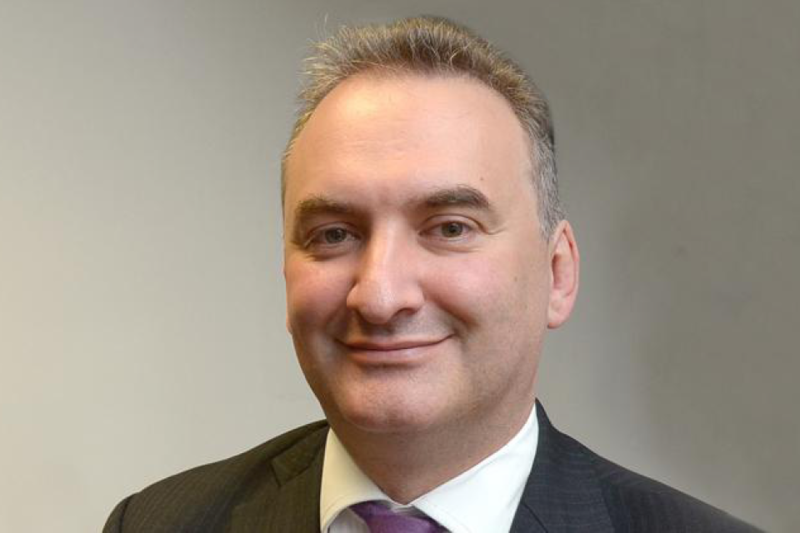 How to bridge the gap between developing a policy and putting it into practice - the so-called ‘Valley of Death’ - is the focus for Tony Meggs, Chief Executive of the Infrastructure and Projects Authority. We are also fortunate to have an article from Andrea Leadsom MP, Leader of the House of Commons. She underlines how vital is the interaction between Parliament and the Civil Service and the importance of civil servants having the skills to support ministers on parliamentary business. Just over a year after its launch, a campaign to recruit thousands of new prison officers is close to meeting its objectives ahead of time and under budget. Mark Adam from the Ministry of Justice charts the progress of the campaign and what lies behind its success. 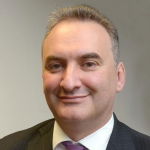 James Merrick-Potter and Daniella Chrysochou consider the efficiency benefits that robots and robotics can bring to public services and what is being done to accelerate the take-up of robotic process automation (RPA) across government. Finally, a pair of articles look at support through the Industrial Strategy Research Fund and the Defence and Security Accelerator (DASA) for creating solutions to some of the big economic and defence challenges of the 21st century. We will publish each of the articles in the latest edition of Civil Service Quarterly (CSQ 16) as a blog post. If you would like to see the full publication, you can download it as a PDF here.